Essence on St Heliers is a boutique laser therapy and beauty clinic owned and operated by experienced therapist Viv Rogers. Essence offers trusted, personal service in an intimate environment. For those who are serious about anti-ageing, this facial uses three different techniques, including our cutting-edge laser technology, to stimulate collagen renewal and rejuvenate skin. Using very fine needles to promote tissue stimulation and regeneration, Dermastamp erases fine lines and wrinkles. It can also be used to minimise scarring and hyper-pigmentation. For our range of laser treatments, we use the excel HR by Cutera. Utilising a safe, high-performance, dual-wavelength laser system, providing premium hair-removal solutions. You could enjoy permanent hair-free results after just 6 sessions of laser treatment. *Results may vary depending on skin type. 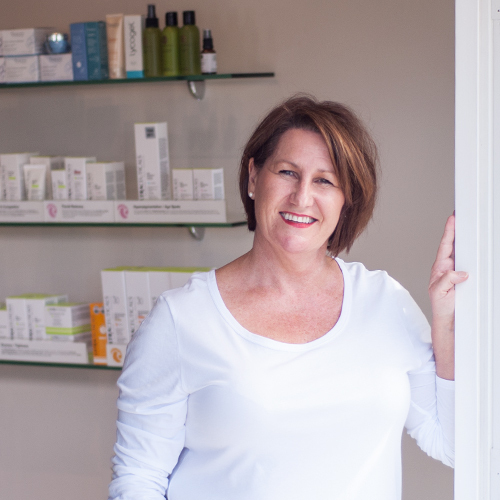 I started boutique skin-therapy clinic Essence on St Heliers in Auckland’s Eastern Bays more than 20 years ago. I wanted to offer clients a more personalised approach in an environment that was non-threatening, private and relaxed, yet using industry-leading technology. I was given a gift voucher four years ago to have a treatment with Essence. At the time I had regular but mostly standard facials. I trusted Viv with her knowledge and technology. She treated my skin on a monthly basis and I followed her advice and did my homework (skin care), as she likes to call it. At 52, I now have a skin that is incredibly healthy and I can confidently go out without a lot of makeup. When I came to Essence on St Heliers to get a laser treatment for a nail fungus I had struggled with for a few years, it was my last hope — and voilà, it did work! Thank you so much, Viv, for giving me the opportunity to go to yoga classes, wear jandals and much more. Thank you for making laser treatments more affordable, too.